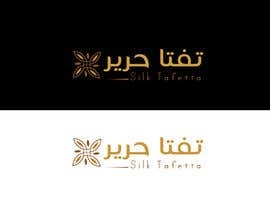 New fashion brand logo designed .. the brand will be using mainly the tafetta fabric which is elegant and light and so pretty ... will be artistic dresses and tops .. mainly asymmetrical artistic kind line of clothing ... name of the brand is "Silk Tafetta" تفتا حرير and if the name can be combined in Arabic and English it would be good … if not is also ok .. artistic light elegant and fashionable logo. 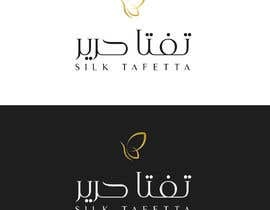 Tafetta is a crisp, smooth, plain woven fabric made from silk or cuprammonium rayons. The word is Persian. now check entries #41 #42. 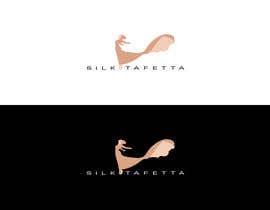 Hi logo maker here. please check entries #37 #38 #39. i hope u will like it. ur +ve feedback is really important for me. THANK YOU! Hi! 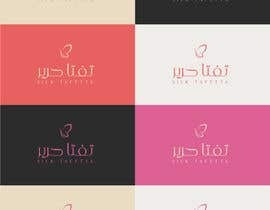 What's the brand name? Sorry for the mistake :) It's all updated now!